Following up on its recent update, VC Mobile is set to add even more critters, quests, and fantastic beasts to its popular RPG Creature Quest, with a series of Easter themed events. 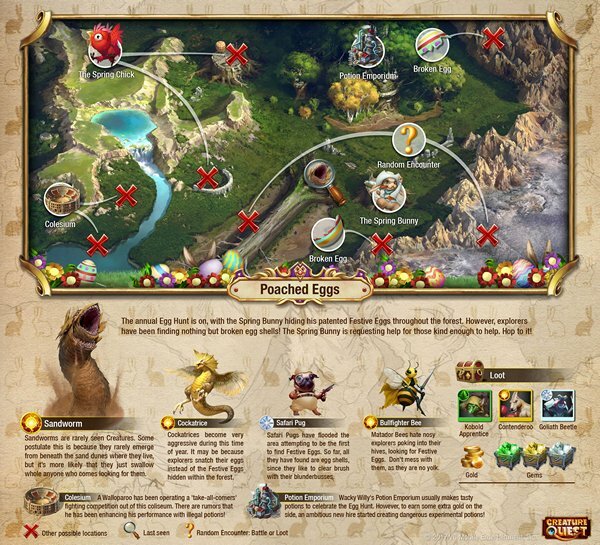 While the new update brought with it, a completely redesigned Battle Tower mode, a new player tier system, and some extra creatures to collect, the new Poached Eggs event has added another challenge to the game with a brand-new quest. With a suitably festive theme, the new quest sees the Spring Bunny hopping with anger at the vile fiend that’s been breaking his eggs. You must assist in tracking down the culprit and put an end to his mischief, all whilst facing down the many mishaps and challenges waiting to trip you up along the way. Be on your guard against rare new creatures like the Goliath Beetle, the Kobold Apprentice, and the Contendero (they’re not to be taken lightly). 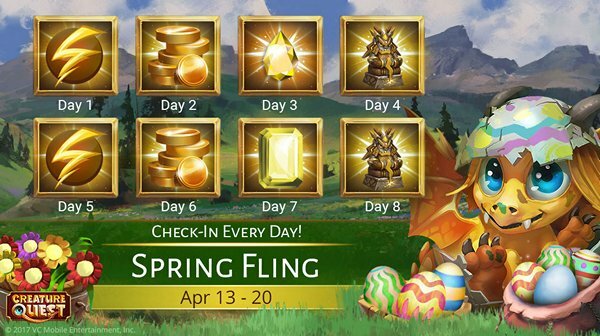 Rounding things off is the Spring Fling check-in event which comes to a close on April 20th. Until then, you’ll be able to pick up some extra special rewards every day you log-in. In case all that has got you in the mood to seek out some adventure, you can find Creature Quest available to download right now on iOS, Android and Amazon.